The beautiful town of Puttur is located in Dakshin Karnataka. It is believed that the town got its name from "Mutthu", which means pearl in the Kannada language. Puttur has an interesting myth tagged to the origin of its name. It is said that long ago, priests performed a ceremony on the sacred pond of Mahalingeshwara Temple. They used rice as an offering which turned into pearls by the pond, from all the corners of the place. In the month of April, Puttur hosts a car festival for a period of 10 days. Tourists and visitors pour in thousands during this season. Therefore, the best time to witness Puttur in all its grandeur is April. Since Puttur is relatively an off-beat destination, you can discover a lot of places in their pristine forms. We suggest Route 1 since it is the quickest way to go. The town of Nelamangala can be your first stop on the way to Puttur. It is situated 26 km from Bangalore and houses the Vishwa Shanti Ashram. You can relax at this Ashram which is located in Arasinakunte, Nelamangala. The ashram serves as a platform for a transcendental escape to the disciples of Shri Premaraj Bhajanrangee, the architect of the place. The Ashram is home to a number of temples, two of which are dedicated to Goddess Durga and Gayathri. A 36 ft statue of Vishwa Vijaya Vittala is a beautiful structure, also installed in the Ashram. Located in the Kunigal town of Karnataka, Yediyur Siddhalingeshwara Swamy Temple is 68 km from Nelamangala. It is a veerashaiva temple, i.e., it is dedicated to Lord Shiva. A unique fact about this temple is that it houses the tomb of Tontada Siddalinga, who was a famous saint during the 15th century BC. The temple holds numerous festivals, of which, Shivarathri and Ugadi are celebrated with grandeur. A spiritual stop for the Vokkaliga community of Karnataka, Adichunchanagiri Math is located 22 km from Yediyur village. It is settled on the rugged hills of Adichunchanagiri and is also known as Mahasamsthana Math. Kalabhairaveshwara Temple, with Lord Gangadhareshwara as the deity, is situated close to the Math. It is supposed to be the "Kshetrapalaka" or the protector of the region. Around 46 km from Adichunchanagiri is the town of Nuggehalli, which is famous for the Lakshmi Narasimha Temple and Sadashiva Temple. Both the temples are classic examples of the Hoysala Dynasty and were built in 13th century by the prevailing commander, Bommana Dandanayaka. Hassan happens to be a favoured pit-stop among the youngsters who love long drives. The route is coloured with greenery and dotted with a number of cafes. It is located 180 km from Bangalore and 53 km from Nuggehalli. Hassan is named after their presiding deity Goddess Hasanamba, therefore the temple dedicated to Hasanamba is one place that must be visited here. Sakleshpur is a hill station, located 40 km from Hassan. The town offers the quickest getaway from Bangalore to a scenic marvel. The welcoming sight of lush coffee and spice plantations on the hills of Sakleshpur can be thoroughly enjoyed, from the Bisle View Point. It offers the view of Kumara Parvatha, Dodda Betta and Pushpagiri. Manjarabad Fort, Manjehalli waterfalls,and Jenukal Gudda which is the third highest peak in Karnataka, are some of the other places to visit in Sakleshpur. Read on to know about the places to visit in and around Puttur. Situated almost 90 km from Sakleshpur is the Mahalingeshwara Temple in Puttur. It is dedicated to Lord Shiva and is believed to have been built in 12th century BC. The temple is home to a sacred pond, which has the myth attached to the origin of the name "Puttur". Car festival of 10 days takes place near this temple when thousands or lakhs of people gather to witness the splendour. 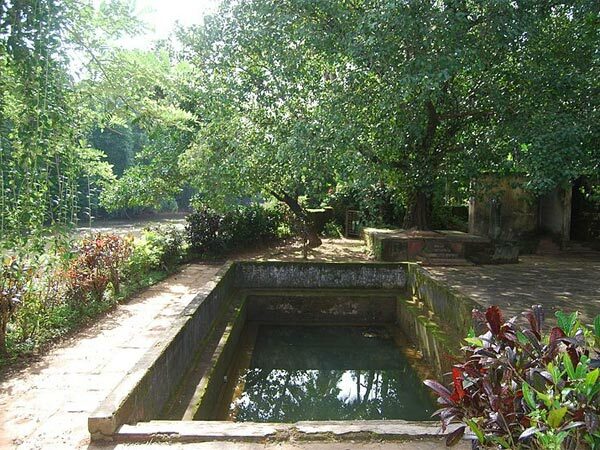 Bendre Theertha, located 15 km from Puttur, happens to be the only natural hot springs of South India. Its water contains curative properties due to its sulphur and other such mineral contents. The spring is considered to be sacred by the locals. The temperature is generally between 37-41 degree Celsius, therefore the water is lukewarm, ideal for a quick dip. If you're a fan of trekking or bird watching, you must not miss Beeramale Hills. Located about 5 km from the town centre, Beeramale hills is filled with arecanut and coconut trees. The trek is quite simple with a well-defined trail. Keep an eye out for birds and interesting flowering plants on the way. The summit of Beeramale Hills houses the pristine Vishwakarma Temple. The entire town of Puttur can be viewed from this peak.